Company House Hotel is an elegant Danish-architecture 33-room hotel with newly renovated air-conditioned guest rooms and modern amenities. The property features a swimming pool, meeting and event space, and Duke’s Cocktails & Wines, a Caribbean inspired bar and lounge. Honoring the building’s vibrant history, the design and decor feature local artists and the structure’s history. 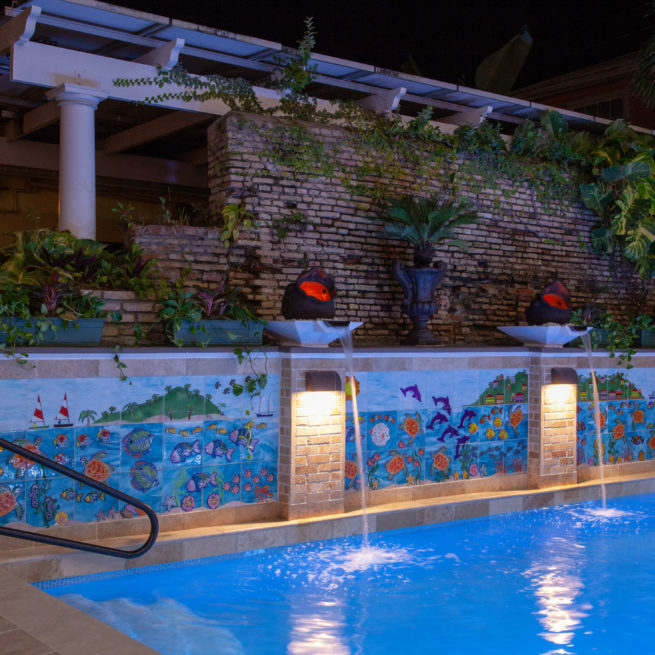 Whether you are visiting Christiansted for work or pleasure, take a break from the Caribbean heat in our salt-water filtered swimming pool or just lounge by the pool and soak in some sunshine. Pool hours are 9:00am-6:00pm. 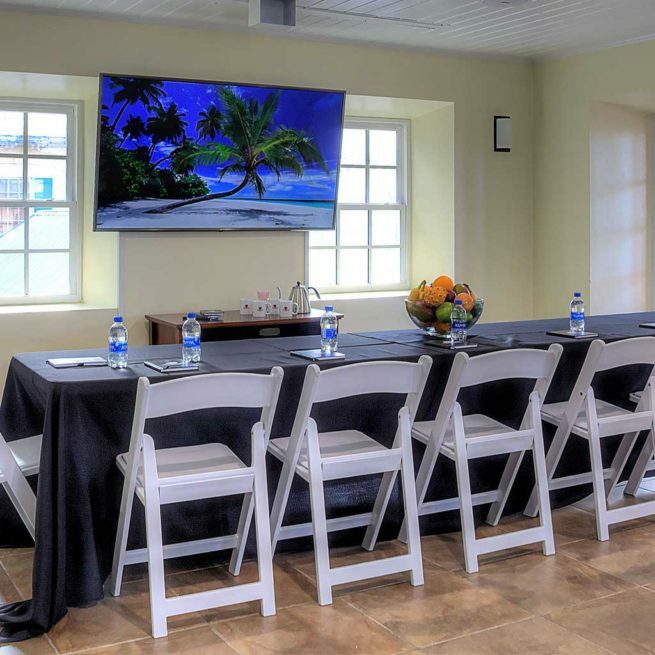 Tucked back on Company Street, Company House Hotel offers a spacious air-conditioned wifi equipped conference room available for rent. A perfect location to gather the team effectively so you can still make time to explore St. Croix.